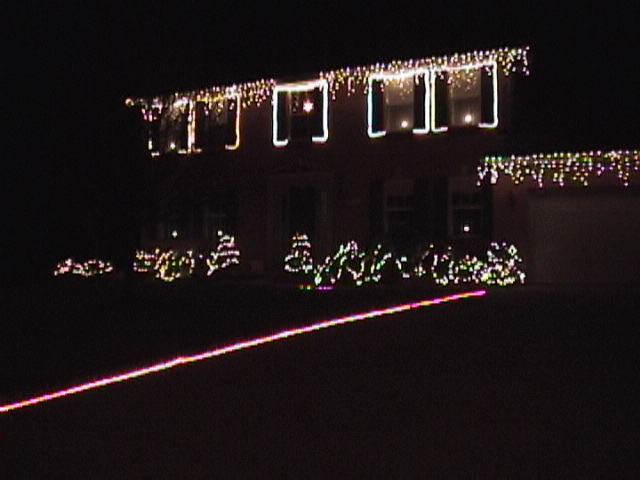 2001 was the first year we put up an animated (computer controlled) display. 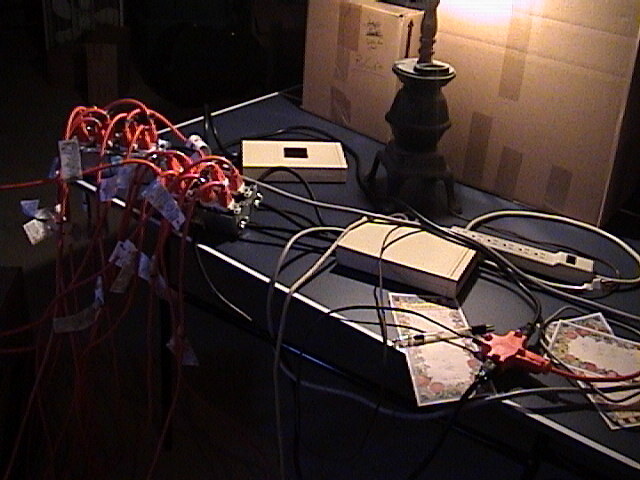 All animated lights were by controlled 16 circuits via my original parallel port control box. 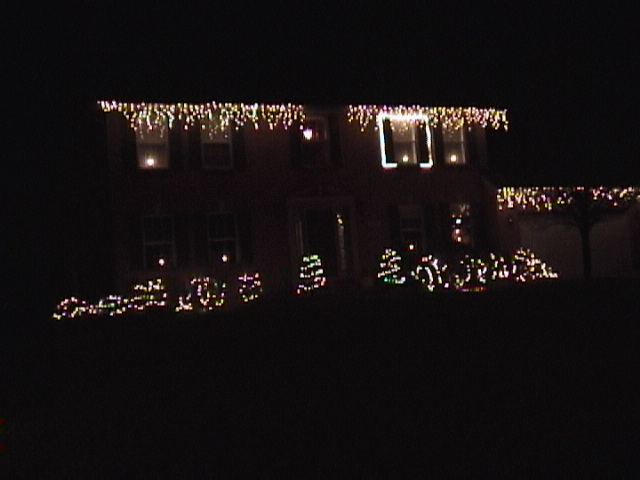 This was also the first year for the new house! The Star took its position in the window above the door. 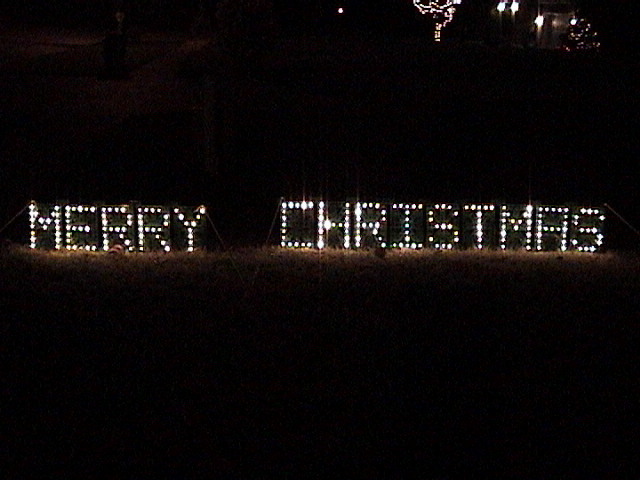 In the edge of the yard (left when facing the road) a "Merry Christmas" sign sitting just off the ground at a 90 degree angle to the road. The sign was about 1 foot tall and made of lights. 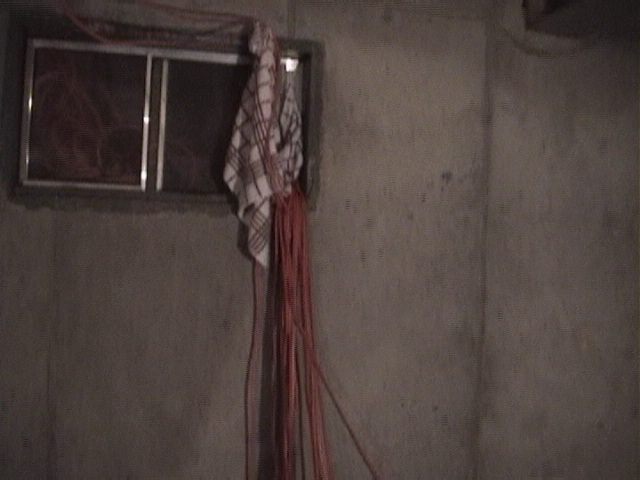 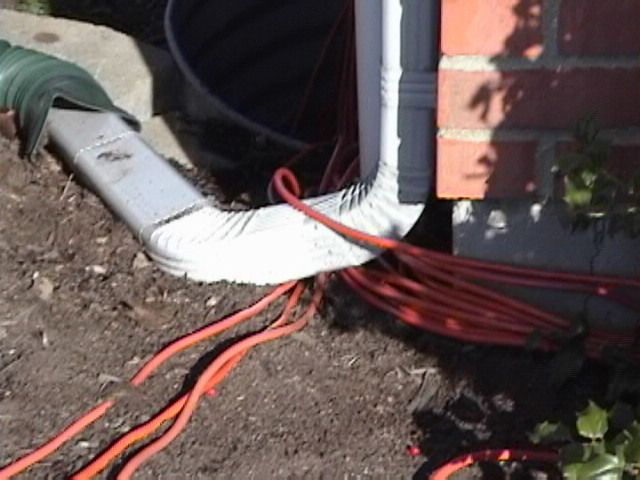 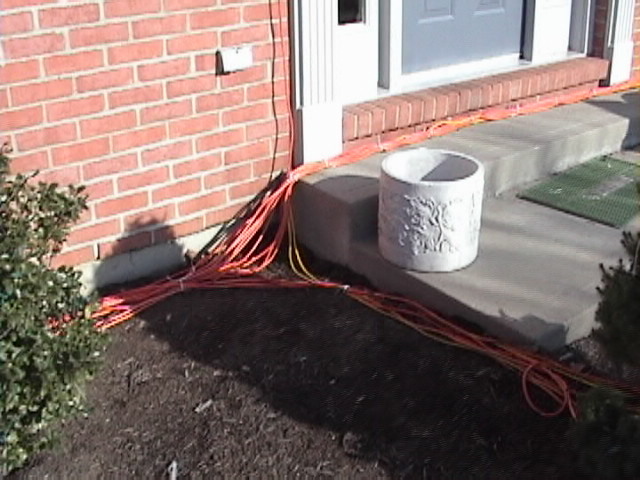 The bushes were be divided into three groups with each group being wired across the main door. 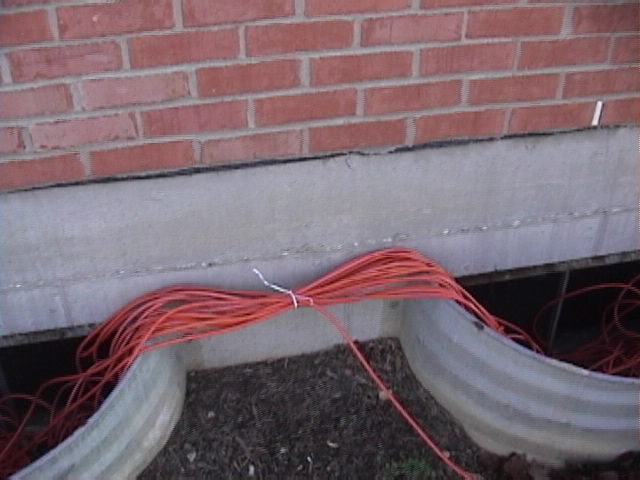 (ie, the two spiral bushes on each side of the door were a group, and then the next couple of outer bushes to each side of the door were another group, etc.) 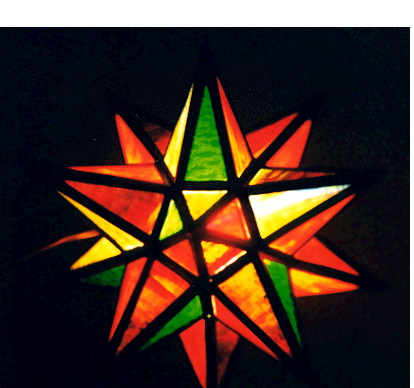 Each group could be either red, blue, or green (or a mixture of the three). 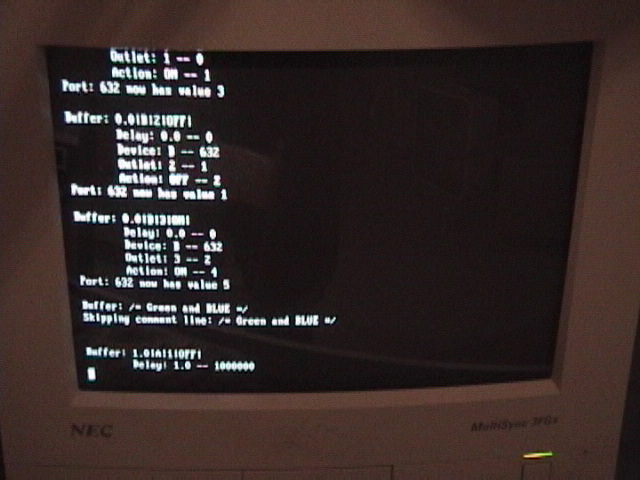 3*3 = 9 circuits. 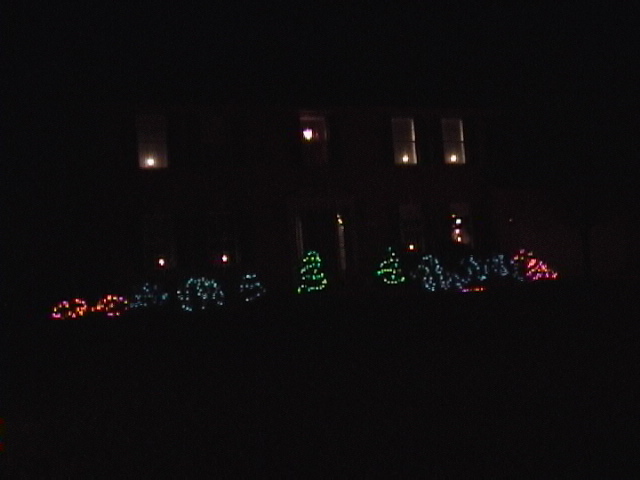 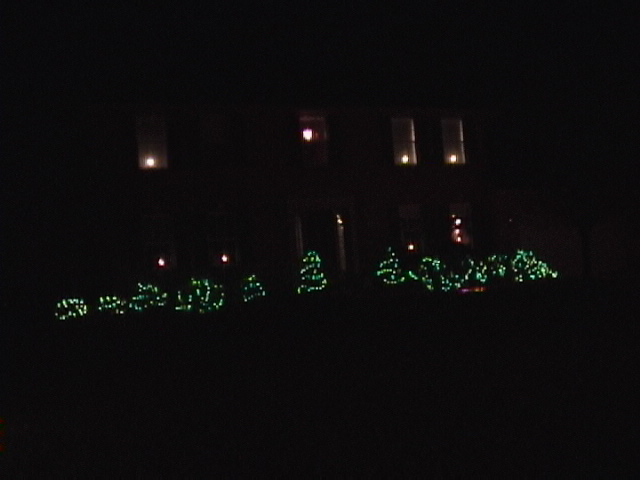 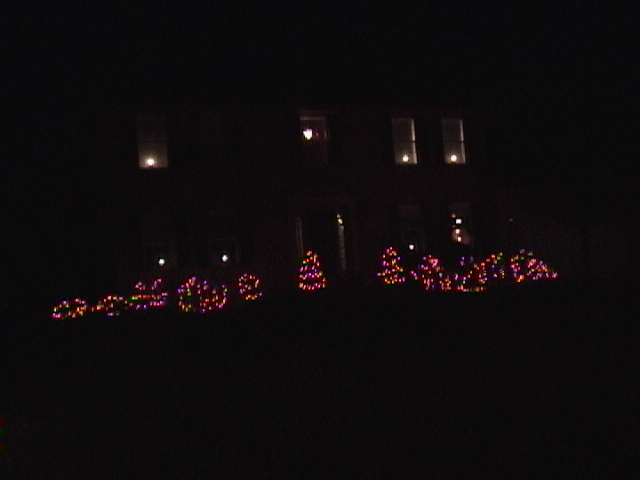 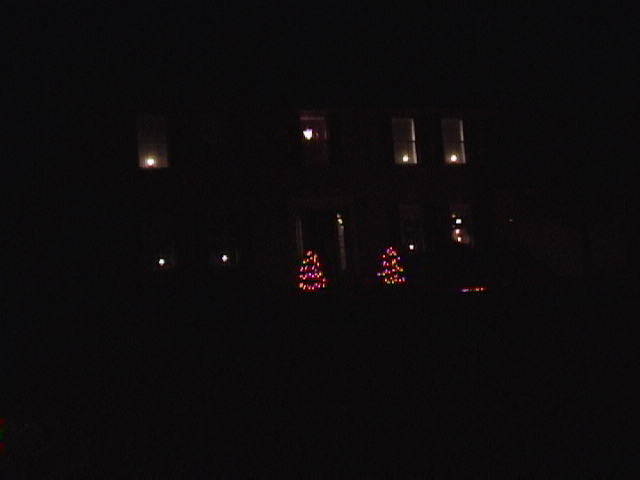 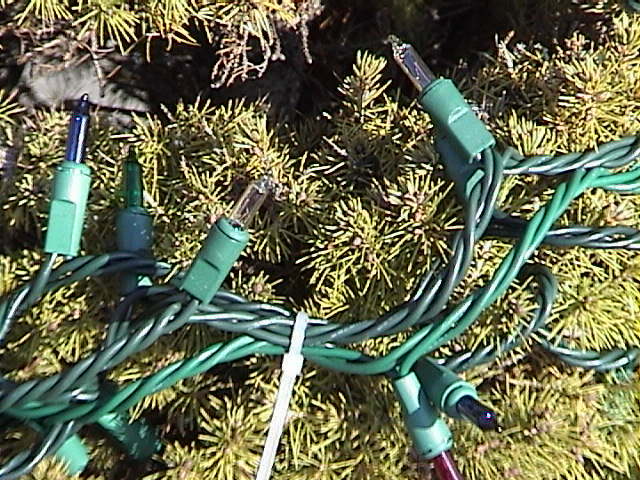 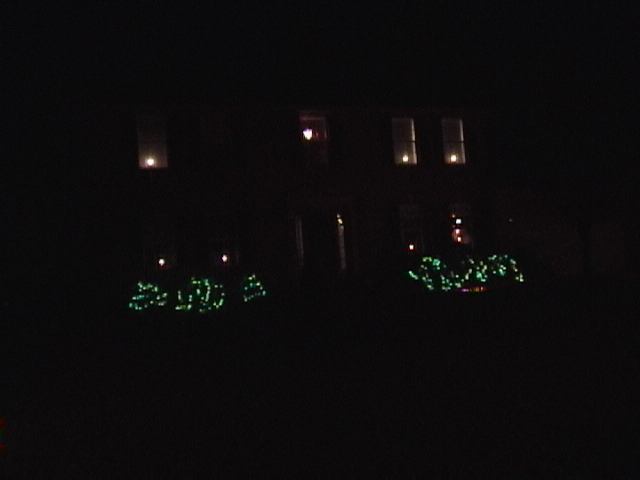 One circuit was configured to light up all white lights in the bushes. 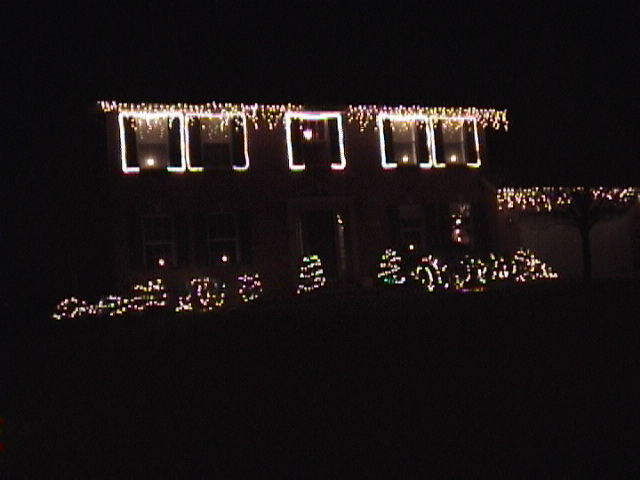 White icicle lights were mounted in the gutters. 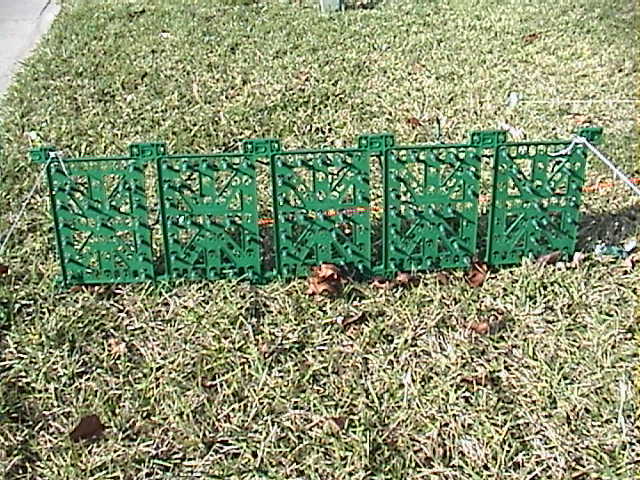 These were on a switchable circuit. 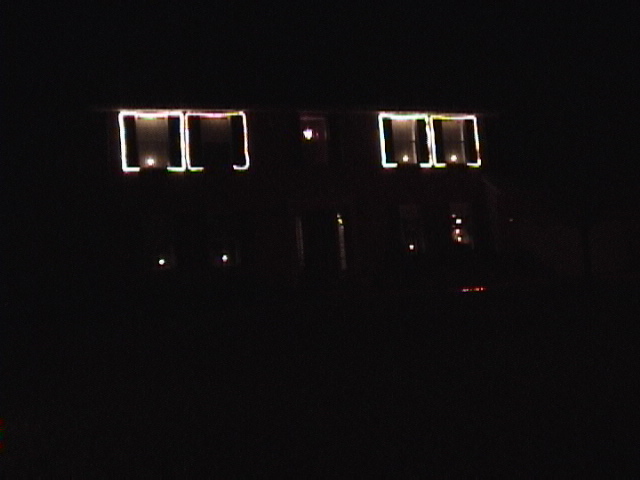 Each of the 5 windows on the top floor were outlined in rope light, each on its own individual circuit. 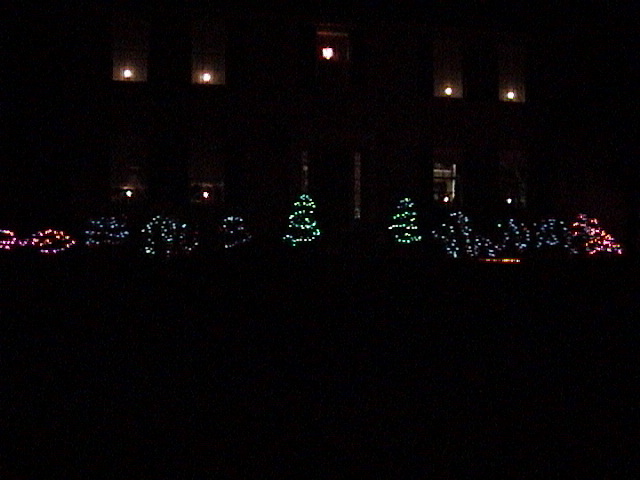 Dancing bushes: Bushes change colors outwards using Green, Red, Blue, Green-Blue, Green-Red, Red-Blue, and Red-Green-Blue. 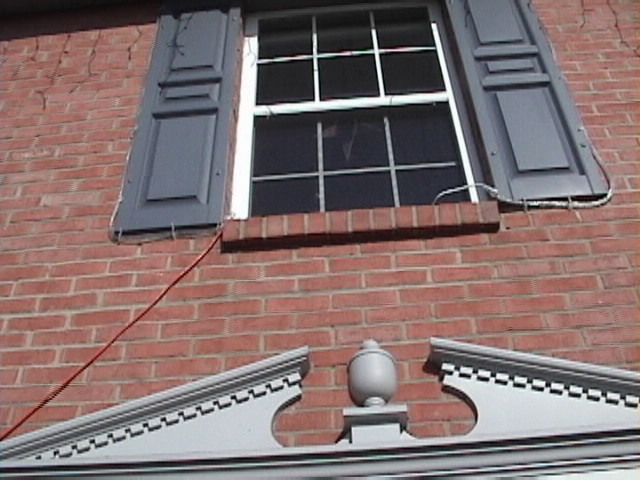 Window Dance: The 5 windows do a back and forth pattern as the pattern gets faster and faster. 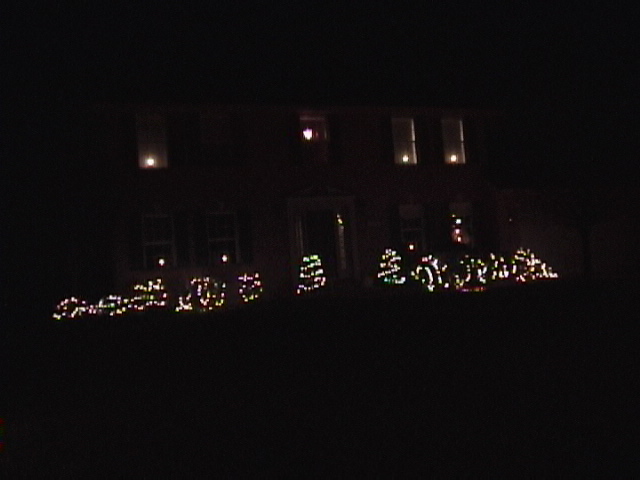 White flash: The bushes and windows/icicle lights flash back and forth faster and faster. 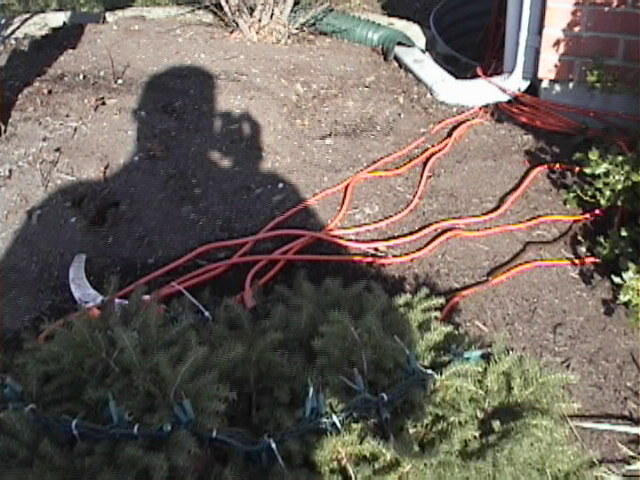 1720 ft of extension cord.